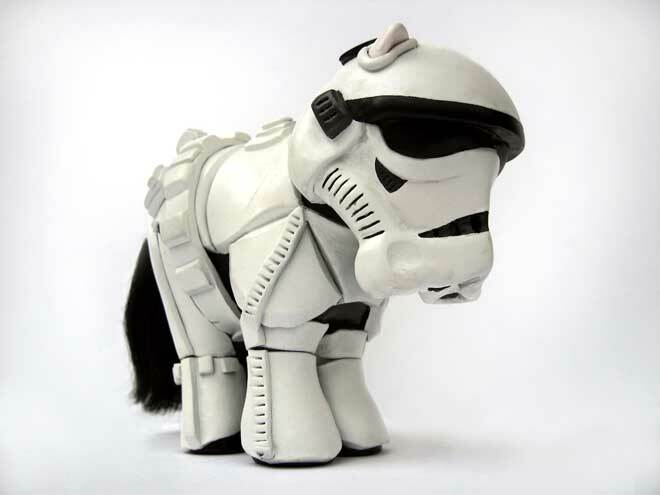 This is possibly one of the best crossovers ever. 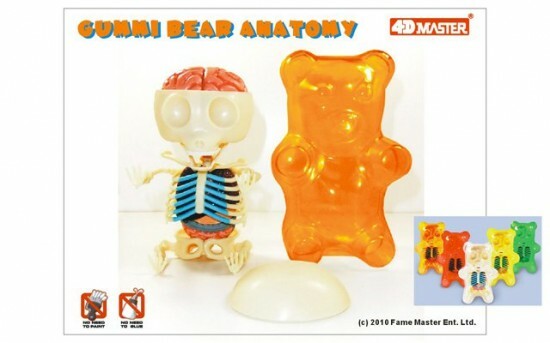 Fame Master, makers of 4D anatomy puzzles targeted toward educational use, tapped toy anatomist, Jason Freeny, for a mass market, 3D version of his signature Gummi Anatomy illustration. Fame Master specializes in 4D puzzles and: “has successfully impressed a lot of kids, parents, collectors and buyers from U.K., U.S.A, Germany, Spain, France, South Africa, Japan, and other Asian & European countries”. I am particularly attracted to Fame Master’s bullet points about how 4D puzzles help kids, for instance: “On continuously making new records of fastest completion time, kids find satisfaction and sense of achievement”. I can’t wait to throw some serious Type A personality into my playtime with Freeny’s puzzle. Who wants to race me? But seriously, this is exciting on many levels. The obvious one being a 3D (or 4D?) version of Jason’s image. 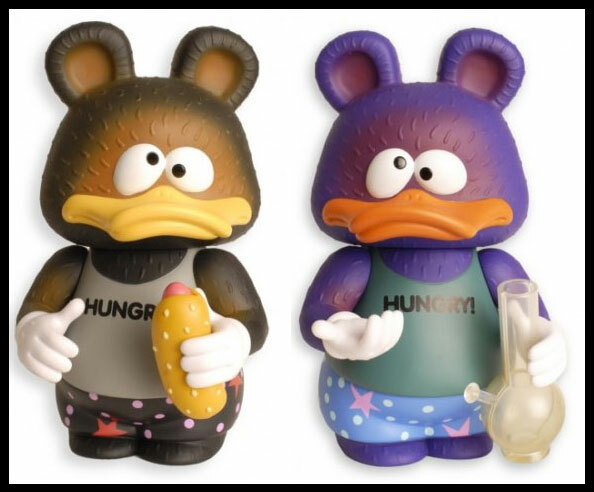 Then there’s the fact that this will make it into markets not usually reached with toys from our scene. 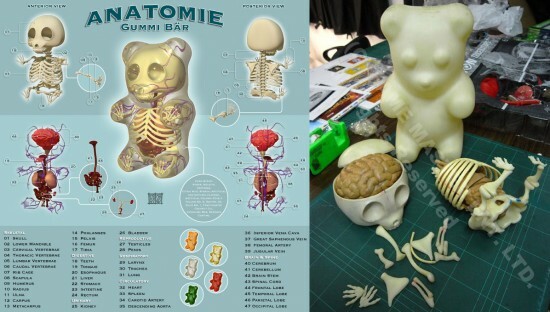 Despite my snarkiness, this IS actually a neat tool for educating kids about (candy) anatomy. It will prove to be a necessity for the militant vegans who already told you not to eat Gummy Bears (because they’re made with pig and cow bone marrow). Now PETA can sneak up on folks in movie theaters and smack the bag o’ bears away and yell, “It has a rib cage, you Nazi!” So awesome. Coming soon. 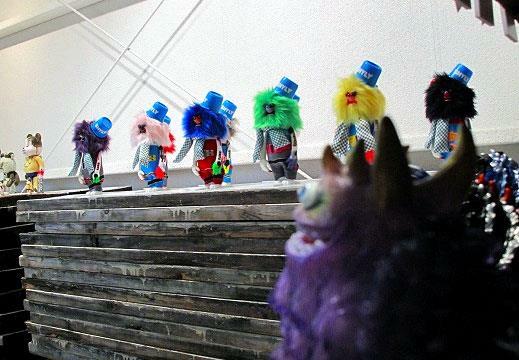 I want the green one.